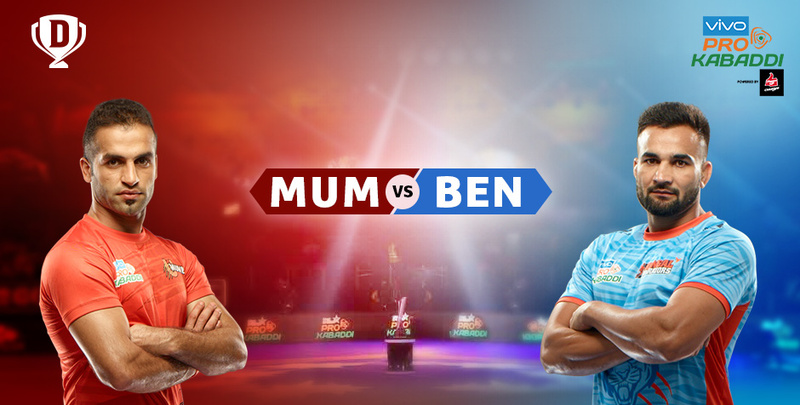 U Mumba vs Bengal Warriors is probably one of the most anticipated matches of the year. On paper, it looks like an easy win for the U Mumba as they have maintained a consistent performance throughout Pro Kabaddi League. However, Pro Kabaddi League fans know that if history has taught us something, it is that the tables can turn on anyone’s favour at any time. Judging by Bengal Warriors performance in season 5, we can say they are here to win. To understand the teams better, let’s take a deeper look at their performances. In the past, U Mumba has won the PKL once and was on a winning streak which came to a halt in season 4. On the other hand, Bengal Warriors has been rising up the performance ladder and is a strong contender for the title in Season 6. In short, it is expected to be a tough fight in the U Mumba vs Bengal Warriors match. Fans believe in facts, so here are some of the facts about some of the best players from both the team. This is not the first time they are going up against each other. A look at the past U Mumba vs Bengal Warriors highlights show us how team Bengal defeated U Mumba for 31-27. Korean player Jan Kun Lee emerged as the highest points scorer in the match. Captain Faisal Atrachali is going to lead the U Mumba team to victory this year. His astonishing performance during raids in season 4 made him the leading defender with 52 points. Leading the Bengal Warriors is PO Surjeet Singh who is known to be one of the most incisive cover defenders and certainly expected to be a major highlight of U Mumba vs Bengal Warriors match. Ever since Abolfazl Maghsodloumahali’s debut in season 3, he never failed to impress. He scored 97 points in season 5 which placed him second on the list of most raid points made by a foreign player. A strong performance like that in a U Mumba vs Bengal Warriors match can take U Mumba team to victory. Team Bengal’s Jan Kun Lee is one of the few overseas players who has performed miraculously in Pro Kabaddi League. Jan Kun Lee made 8 raid points which are the highest U Mumba vs Bengal Warriors score ever. He also holds the title for the most scores ever made by an overseas player. Mahesh Gaud from Bengal Warriors is one of the best raiders in the team. He managed to score 51 points in just 13 games in season 1 of Pro Kabaddi League, which lead to a huge fan base for himself. His average of 3.92 raid points was the second best from Bengal Warriors. Dharmaraj Cheralathan displayed his fantastic skill set in Season 3 with Telugu Titans scoring 31 tackle points. In season 2, he was able to score 42 tackle points which make him one of the players that Bengal Warriors have to look out for. Following Abhishek Singh’s incredible performance in the Senior National Kabaddi Championship 2017-18, U Mumba wasted no time in getting the player on their team. He is expected to play better than most veterans in the team. U Mumba’s coach Gholamreza Mazandarani is the only foreign head coach in Pro Kabaddi League. He helped the Iran national kabaddi team to get a gold medal in the 2018 Asian Games. Whereas, team Bengal’s coach Jagdish Kumble comes a similar background as he was a team of the gold medal winning 2002 Asian Games team. Visit Dream11 to check how you good you are with your kabaddi skills. Dream11 is a fantasy sports platform where you can use your knowledge in sports to take on the role of a team manager. Here, you can create your own team by selecting some of the best players and participate in some of the exciting cash contests to make money. So, go ahead and log to Dream11 to enjoy fantasy sports at its best!